I've seen Sen. Rubio do a much better job responding to probing questions in the past than he did in responding to Chris Wallace's questions this morning. Rubio frankly looked over-coached and nervous today. So I'm going to reserve judgment about his prospects for being on the 2012 GOP ticket (which, of course, he continued to insist are zero, while expressing respect for the voters' choices in such matters). But I thought Rep. Ryan was amazingly good. "We don't need a good politician, we need a strong leader." That one-liner left a mark, and Ryan wasn't making it by way of a personal comparison between himself and Obama. But the rest of his presentation which screamed — in subtext — "I am indeed just such a strong leader!" I literally found myself holding my breath (since guys, even very handsome guys with really sparkling eyes, don't make thrills run up my leg). I haven't seen anyone I like as well yet for the top of the ticket in 2012, but I'm concerned that it may not be possible for Ryan to both lead the budget fight in the House and lay what is, sadly, essential groundwork in early primary states. If that prevents him from considering a run, I could respect and concur in that decision. But I'm here to tell you, and you can bookmark this post: If Paul Ryan is the GOP Veep nominee, Obama will either dump Slow Joe Biden (probably through some contrived health or "more time with his family" excuse) or at least find another excuse for there to be no vice presidential debate. Because Paul Ryan would eat Joe Biden's lunch and then drink his milkshake. I haven't watched the panel discussion yet, so I don't know whether Kristol renewed his pitch for the Ryan-Rubio ticket. But I'm definitely warming to at least half of that idea, and still intrigued by all of it. UPDATE (Sun Apr 3 @ 11:00am): I realize this is very superficial, but am I wrong to think that Rep. Ryan and television actor Patrick Dempsey (a/k/a Dr. Derek "McDreamy" Shepherd on "Grey's Anatomy," below left) could be brothers whose dad only convinced one of them of the importance of daily shaving? 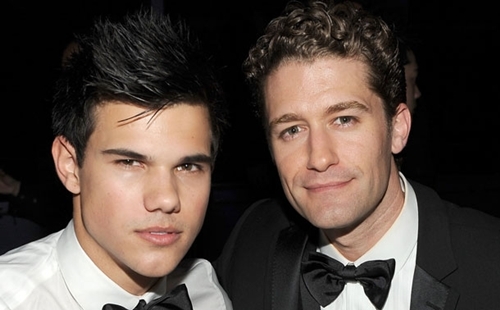 Rubio turns 40 this May, but he's almost as young-looking as actor Taylor Lautner of "Twilight" fame (above left). And I don't know that Ryan can sing or dance as well as Matthew Morrison (above right) of "Glee," but then again, I don't know that he can't. In any event, I have to commend both politicians on overcoming their tragic good looks to make a career in politics. Ryan has one big problem, besides being too busy to run in the primaries: he has no executive experience. He needs to spend this term leading the budget fight. Next term he should either try for Speaker or else prepare to run for governor of Illinois in 2014, which will put him on the president track. That is, unless whoever is elected president in 2012 asks him to be Treasury Secretary or OMB Director. Dear Mr. Dyer: Good God. Take a look at Ryan's Wikipedia article See any private sector experience there? "He is a fifth-generation Wisconsin and Janesville native and a great-grandson of Patrick W. Ryan, who founded, in 1884, the family's construction business, Ryan Incorporated Central. He worked for the family business as a marketing consultant in the 1990s." Worked for his old man as "marketing consultant" while being a Congressional staffer. How well does that stack up against Jimmy Bumpkin's running his family business and being state senator for four years and Governor of Gerogia for four years? See any political executive experience there? Nope, I don't either. How much experience in opposition do you see? This is important, because, as we are finding out about The One, how you conduct yourself in adversity determines much of what you can do. See: Reagan's 1976 run for the Presidency. It's worth noting that Ryan's Road Map came about when the GOP was in opposition. Ryan has done far better than The One did while in Congress. He's taken his job seriously (unlike The One who can only take himself seriously, and to Hell with his responsibilities) and better still, used the sizable resources of Congress to learn. Thus, the hugely impressive Road Map. This is strongly in his favor. Ryan is good man, who needs support for his ideas---a lot more than he has gotten from the GOP leadership so far. This city boy is told that a dandy way to ruin a farm crop is to keep pulling the plant up by the roots every two days or so to see how everything is coming along. Drum, Sullivan, and Co. made fools out of themselves with their delirious raptures about The One. Didn't do The One any good either. Paul Ryan's career will develop by itself. Why join D, S & Co. as laughingstocks? I didn't stay around for the Rubio interview but I also watched Chris Wallace's interview of Paul Ryan. Ryan was excellent. He was so good I TiVo'd it to show the rest of my family, and they agreed. Why would Ryan run for Governor of Illinois? Isn't he from Wisconsin? So he is. Wisconsin, then. Good; he'd be following a class act. I don't know why I'd thought he was from Illinois. Another faux-interview with Senator Rubio on Fox News. The Senator again trots out his routine sound bites about Government debt. At least Congressman Paul Ryan looked like he had done some homework and actually had a proposal to discuss. Senator Rubio cannot even coherently defend his veto of the GOP proposed budget compromise, when the alternative might mean the Government defaults on its debt. Rubio dithers, and hides behind meaningless, evasive verbiage when asked a simple, direct question by Wallace. What? Considering that Senator Rubio, through his proposed Senate Resolution, has urged that the US fully commit to backing the rebels and recognizing them as the legitimate government of Libya, shouldn’t he have already “known who they are and how they’re working”? How capricious can Sen. Rubio be with American money and blood? 1. How much would you think it would cost the US in terms of time and money, to achieve the goals of your Senate Resolution? A ballpark answer will do. Would you be willing to invest more than that if Gadhafi and his loyalists prove tougher than imagined? 2. After Gadhafi is defeated, does your commitment to installing the rebels as the legitimate government of Libya include helping them establish political processes, a constitution, laws, public education, health care services, etc.? 3. After Gadhafi is defeated, does your commitment to installing the rebels as the legitimate government of Libya include rebuilding and modernizing the destroyed infrastructure of Libya? How much money are you prepared to commit to that? 4. Would you commit to a long-term presence of US forces in Libya for training the new Libyan army, keeping the peace, protecting the resources (oil fields) from any post-war terrorist or guerilla activity? 5. Would you fund your Libyan involvement by adding further debt to the US financial crisis? If not, how would you provide funding for your Libyan commitment? 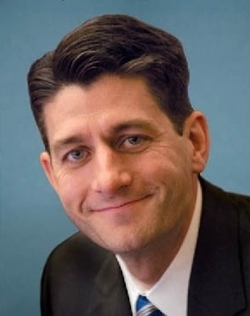 Would you take the savings from Congressman Ryan’s cuts to domestic programs, and apply that money to the Libyans? Chris Wallace avoided the elephant in the room, and asked none of those questions. Perhaps he realized early-on that Senator Rubio only does soft interviews, and has no real answers or solutions. But in all fairness to Senator Rubio, we need to recognize that on ABC's Nightline he did tell the world that he likes to listen to the hip-hop artist Nicki Minaj. At least he made a definite, clear commitment to something.